Each quarter, the Advisory Council meets to provide Cyber Huntsville’s Board of Directors and committees with support and guidance in establishing Cyber Huntsville as a national cyber region and building a world-class cyber workforce and capabilities across the region through advancement of educational educating the Tennessee Valley on Cyber Security. Each sustaining member is granted a seat on the Cyber Huntsville Advisory Council. Major General (Retired) Barbara G. Fast currently serves as the President/CEO of BGF Enterprises LLC, a consulting services business for intelligence, cybersecurity, and operational activities. She currently sits on the boards of American Public Education, Inc. (Chairman); Hondros College of Nursing (Chairman); and several not-for-profit private organizations, to include the Armed Forces Communications and Electronics Association (AFCEA); the US Space and Rocket Center Commission; and the Cyber Advisory Council (Chair) for Huntsville and the Tennessee Valley; on the Board of Trustees for the Cyber and Engineering Magnet School; and is an Advisor to the Intelligence and Security Alliance (INSA). She serves on the Strategic Advisory Board for the Sierra Nevada Corporation, a privately held aerospace engineering firm. Prior to her current position, she served as the Senior Vice President, Strategic Engagements and, prior, Army Defense and Intelligence Programs, CGI Federal. With offices around the country, she was responsible for developing and executing cyber and biometrics strategies for government and commercial customers, as well as managing a business unit in support of government customers. 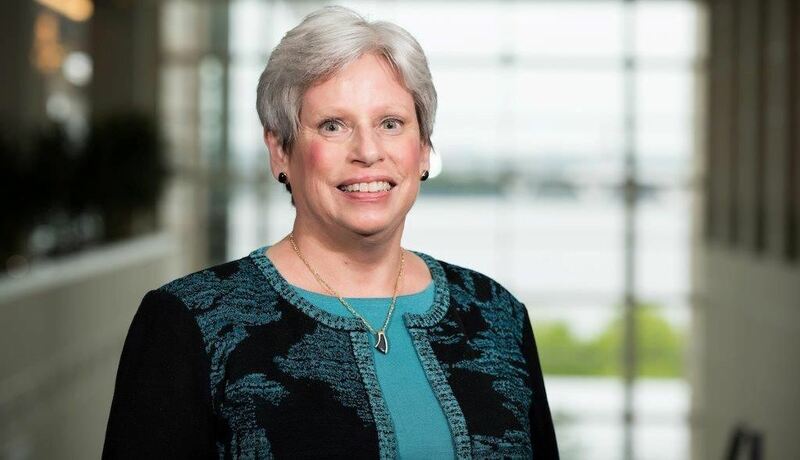 Prior to that she was the Vice President, Cyber and Information Solutions, (The Boeing Company (NYSE:BA)), where she developed the company’s cyber strategy and led Boeing’s cyber, unmanned underwater vehicle, electronic warfare and information business. Major General (Retired) Fast retired from the U.S. Army after over 32 years of service. During her service, she held a variety of key positions, including Deputy Director, Army Capabilities Integration Center (ARCIC), Training and Doctrine Command (TRADOC); Commanding General, U.S. Army Intelligence Center and Fort Huachuca (responsible for all military intelligence on ground and distance learning instruction); Director of Intelligence (C2) Multinational Forces-Iraq and Combined Joint Task Force-7, Operation Iraqi Freedom; Director of Intelligence (J2), U.S. European Command; Director, S1, Signals Intelligence Directorate, and Assistant Deputy Director of Operations, Military Support/Deputy Director, Central Security Services, National Security Agency (NSA/CSS); Commander, 66th Military Intelligence Group; Deputy Chief of Staff, G2, 2nd Armored Division; Commander, 163rd Military Intelligence Battalion; and numerous other command and staff positions. Major General (Retired) Fast holds a Bachelor of Science in Education (German and Spanish) from the University of Missouri, a Master of Science in Business Administration from Boston University, and an Honorary Doctorate of Laws from Central Missouri State University. She is also a graduate of the Army War College. She is married to Lieutenant Colonel (Retired) Paul Fast. Along with Darwin and Rocky, their two Australian Shepherds, they are at home in Huntsville, Alabama and Bozeman, Montana.